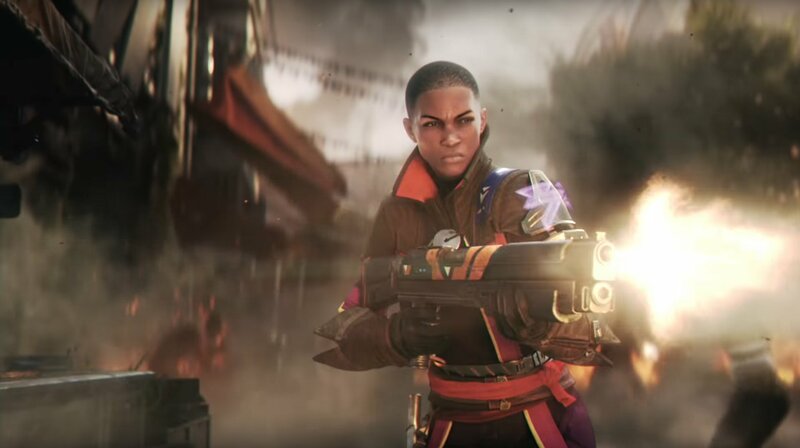 Destiny 2 includes even more subclasses for your Titan, Hunter and Warlock — but you won’t unlock them right away. It takes a little bit of patience and luck to get all three. Here’s how the new artifact system works, and when you’ll want to start cracking open chests for a chance to grab the Sunbreaker, Nightstalker, and Stormcaller subclasses. Playing through the campaign will always guarantee one subclass — with subclasses, you’ll get a unique Super Ability, a default Grenade Ability, and a new Movement Mode. Everything else is unlocked, and must be purchased with Upgrade Points. You’ll get lots of those as you play. The real challenge is getting all new subclasses. Here’s how it’s done. There are three subclasses available for each of the three major classes — for a total of 9 subclasses in total. Subclasses are always unlocked in a specific order for each class. Your first subclass will unlock naturally as you play through the campaign. The other two subclasses must be unlocked, and getting them can be kind of random. Here’s the quick rundown of the order of unlocks — although artifacts are random drops, subclasses will always unlock in this specific order. All subclasses include a unique Super Ability, Grenade Ability, and Movement Mode. Other abilities must be unlocked with Upgrade Points. Gain Upgrade Points by completing activities or gaining levels, up to Level 20. Complete the Campaign Mission: Spark to unlock your first Subclass. This is the third (3rd) campaign mission in Destiny 2, given by Ikora Rey, so you’ll earn your first subclass very early. The Titan will unlock the Sentinel subclass, the Hunter will unlock the Arcstrider, and the Warlock will unlock the Dawnblade. Unlocking the other two subclasses for each class is more complicated. The other subclasses are locked behind unique items called Artifacts. Artifacts are random subclass items that can be looted from chests — any chests connected to Public Events or located in Lost Sectors have a much higher chance of dropping Subclass Artifacts. Artifacts won’t begin to appear in Loot Chests until specific level thresholds are met; Level 7 and Level 14. After collecting an Artifact, you’ll need to return to Ikora Rey and complete Campaign Mission: Spark – Pt.2 to actually unlock the next subclass. You’ll need to repeat this process a second time to unlock the third and final subclasses. Subclass Unlock #1: Complete Campaign Mission: Spark. Subclass Unlock #2: At Level 7, Subclass Artifacts will randomly drop from any loot chests. Subclass Unlock #3: At Level 14, the last Subclass Artifact will randomly drop from any loot chest. While Subclass Artifacts are a random drop, your chances will increase thanks to these specific factors. As gain higher levels, the chances of a Subclass Artifact spawning in a chest will increase. Chests associated with Public Events or Lost Sectors have a much higher chance of dropping Subclass Artifacts. All planetary loot chests have a small chance to drop Subclass Artifacts — but, Subclass Artifacts will never be found as reward rolls or from Engrams. It’s also worth noting, that once you collect a Subclass Artifact, you’ll need to charge the artifact with kills. For whatever reason, it seems kills earned in Public Events increase the charging process. And that’s how you unlock all the Subclasses in Destiny 2. Good luck out there, Guardians.